This CD came out in April. 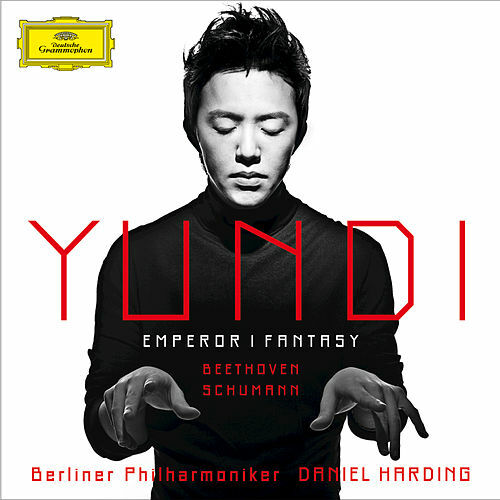 The second disc in a row for Yundi that includes major works by Beethoven. I think Beethoven is the standard repertoire composer that Asian pianists have the most trouble with/are least interested in for some reason, and I am glad that Yundi is entering into this territory. I think it is important. I'm going to start by saying that I have reservations about both the works featured on this disc. I was going to post that the Emperor Concerto is more like a symphony with a piano part like it was an original thought, but then I looked it up in Dubal's Art of the Piano and the first line is literally: "The Emperor Concerto is a symphony for piano and orchestra . . ." So it is a concerto that really requires the soloist to be integrated into the orchestra as a whole, and I feel for this reason that it is less of a showcase of a pianist's individual skill and interpretative insight. The Schumann Fantasy is Schumann for people who don't like Schumann, which is a category I probably, on balance, fall into. I just feel like Schumann was an above-average musical talent that forced the issue due to ambition and gives the illusion of depth without actual depth. The knock on Asian pianists (and Asian soloists in general) is that they are technically proficient but musically superficial. I think that there is often truth in this criticism, which one can attribute to many factors including the relative vintige of the classical tradition in Asia, the emphasis on technique by parents and teachers in Asia, and the developing tastes of the classical audience in Asia. That said, I've had high hopes for Yundi ever since hearing his Chopin Competition recordings about ten years ago (I discovered them a little late). I think Yundi takes the music seriously and has good instincts. Yundi's Emperor is much like the disc of sonatas that preceded it: proficient and measured, but almost too controlled, too conciliatory. If you were to play this CD for a person who wanted to know what the Emperor Concerto sounded like, it would work just fine. But if you are someone who has lived with this music and with the catalogue of great performances of it for any amount of time, it doesn't stand out. Actually, there are a few exaggerated, "programmed" rubatos in it that you could consider flaws if you wanted a reference recording. I feel like the hump that Yundi has to get over is learning to trust himself as a musician and to loosen up and not worry so much about giving a "correct" performance. In reality, this pursuit of an illusory state of "perfection" is probably the mental process that produced his Chopin Competition performances, but I feel like those performances actually show much more of personal connection with the music than many of his major label releases. I wish he would get back to that and get rid of everything else. I'm going to mention something that I noticed recently about Yundi's playing generally: he has a very subtle weakness in that he will subordinate the pulse rhythm of a work to the phrasing of the main line, or sometimes in order to maintain separation in the notes of a right hand run. It's subtle but it's there. I noticed it while comparing his Prok 2nd with other performances and then I went back to his Nocturnes and found it there. I was surprised that his Nocturnes didn't seem to work--I actually put the CD in a box after about a month and didn't return to it until I had this realization. Now I think that this weakness is the main reason I didn't like the Nocturnes: he was missing all the strong cadences and ground bass notes in order to bend the main line. I think there is some of this in this recording as well. The Schumann works fairly well. Yundi plays it like it's Liszt, which is not far-off for this work. In the second movement, Yundi goes off-script with those stately descending octaves in the left hand that almost characterize the work as a whole. I'm not sure this was the best decision--he is a tick too fast and plays the octaves like a phrase instead of as purcussion. This stands out because the rest of the recording is so orthodox. The third movement, which for some reason has a reputation for being a "difficult" slow movement, is probably Yundi's best work here. His studiousness and self-restraint, as well as his tendancy to float the beat, pays off. The movement has the feel of being unattached, drifting, lost in thought or emotionally torn. I may sound critical, but I actually don't think this is a bad album. I just dont' think it's groundbreaking either. If I were rating I would give it 4 out of 5 stars. As a side note, the sound is phenomenal. It may be that I just don't listen to many new releases, but the piano is fully rounded without sounding harsh or forward. 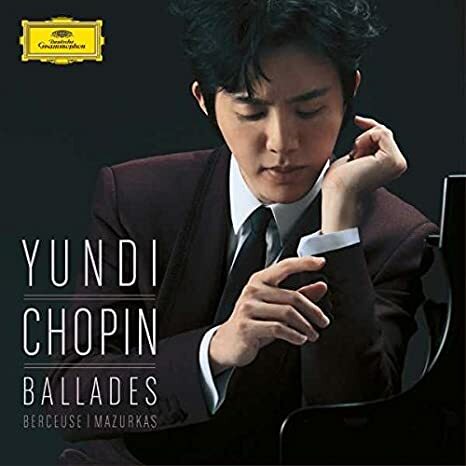 I also thought the Appassionata album was quite well recorded, and I think Yundi's Prok 2nd may be the best sound transfer of a piano concerto ever achieved. It says that it's import-only, for import-only pricing, but it looks like a standard DG global release to me. We'll see if the price comes down. Funny that Amazon.com has it for pre-sale before Yundi's own website mentions it. 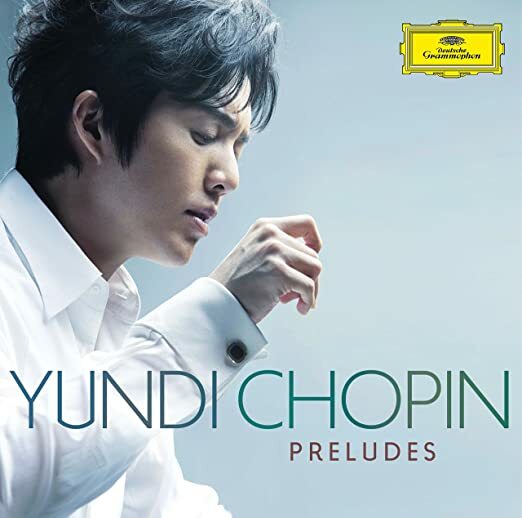 Yundi doing the Chopin Preludes. This could be interesting. Having left his post for a slightly more entertaining affair, Yundi Li has been reinstated on the jury for the Chopin Competition. His absence, however, has left many wondering if he is suited for the position. According to an informant at the competition, Yundi has returned after a five-day stint at a friend's wedding. The courtship, however, included the model star bride, Angelababy. If you aren't in the know, Li is the laureate of the Chopin Competition back in 2000. An astounding player, sure, but his absence sparked a controversy within the competition's ranks. The counsel, to which Yundi is a part of, had to remain in limbo while the pianist continued on with his affairs. As one would imagine, this did not bode well with his peers. Yundi's missing from the jury made international headlines. Thus, the player became a popular ticker for most news outlets. As Gramophone reports: "Yundi's missing from the jury caused a huge debate again and helped win him another tide of headline entertainment stories across the country including Taiwan and Hong Kong with strong discussions on the social media channels. He is criticized being contempt of the competition and unprofessionalism. Fans back him up and speak highly of his loyalty and generosity in offering presence at a friend's wedding even at the height of an international competition." Weddings in Shanghai are quite an affair and require copious amounts of eating and drinking for their duration. Yundi may need a dose of vitamin C and an IV to get him through the rest of the competition! Yundi just had a very bad performance in Korea. Apparently he was playing Chopin's Concerto No. 1 and got so lost the entire orchestra had to stop and start up again. To add to that, he posted something completely irrelevent about Halloween on his Facebook page later that night, which was later taken down and replaced with a more diplomatic message. I do not think a performer has to be perfect every night. It's just unrealistic. The expectation of perfection has only increased with technology. Not only is a perfomer compared to his recordings, but with the Internet you can literally, within minutes, locate the single best live performance of a single piece a specific performer has given in his life, and be held to that standard forever. I actually hope this means that Yundi is shedding some skin and growing into a looser, less packaged musician. Working on a review of his Chopin Preludes album. Will post soon. So little time . . .
Friday night's performance by Yundi Li, the youngest pianist to win the International Frederic Chopin Piano Competition at the age of 18, was nothing short of disastrous. The Chinese pianist staged an appalling rendition of Chopin's Piano Concerto No. 1 with the Sydney Symphony Orchestra (SSO) at the Seoul Arts Center, turning a deaf ear to the orchestra and a blind eye to the maestro's movements. SSO chief conductor David Robertson, distraught by the noise, lowered his baton and the orchestra followed suit. They resumed playing after a breather, but the tension was palpable. As if to blame the SSO and maestro Robertson for the blunders, Li did not return for an encore, acknowledging the audience just once before retiring to his hotel room. He seemed unshaken by his catastrophic performance _ later that night, he posted a photograph of himself dressed in a Halloween costume on Facebook, with a caption that read "I'm gonna freak you out tomorrow!" The photograph has been deleted, and the last post now reads "It's always been a pleasure to come to Korea. Thanks for all your support and hope to see you again." Chopin's Piano Concerto No. 1 is the piece that changed Li's life _ he became the youngest winner of the Chopin competition in 2000. But his failure to apologize and his devil-may-care attitude have more than disappointed fans who had anticipated a professional and polished performance, at the very least. Concert organizers said Li had seemed anxious the night before his performance, requesting a practice room after midnight. Korean Cho Seong-jin became the first Korean to win the prominent competition on Oct. 20. Li was one of the jurors for this year's Chopin competition. He awarded Cho nine out of 10 points before leaving mid-event, allegedly to attend Chinese actress and model Angelababy's wedding. Yundi’s Preludes feel like a return to form for him. He is back in his natural environment, in an idiom that he doesn’t have to ask anyone’s permission to speak. This set displays his brilliant digital clarity, his natural sense for phrasing, his respect for tradition, and a somewhat improved rhythmic panache. One of the first things I noticed was how good this CD sounds. I don’t know who is behind the mixing board over there at Deutsche Grammaphon, but his last few CDs have an incredibly full and rounded piano sound that is quite a pleasure to listen to in and of itself. In many of the more lyrical pieces, Yundi utilizes the phase shifting of unison strings on an almost microscopic level, which when recorded in this way makes a real argument for the beauty of the sound of the piano as an instrument. Glenn Gould once said that he didn’t really like how the piano sounded, it was just the most convenient instrument on which to express complex musical ideas with multiple voices. The sound of Yundi’s piano on this recording, however, is absolutely luxuriant. The best tracks here, in my opinion, are No. 3 in G Vivace, No. 10 in C-sharp minor Molto allegro, No. 16 in B-flat minor Presto con fuoco, and No. 21 in B-flat Cantabile. In No. 3 Yundi maintains a steady and phenomenally articulated left hand figure through the piece, in No. 10 that technical dexterity is transferred to the right with glittering cascades of notes. His Presto con fuoco is probably the best interpretation on the disc; it begins with a thunderous transition from the Raindrop and charges headlong into a laser-like sprint from one hairpin curve to the next. No. 21 has a lyricism and a separation of voices that raises its standing within the set. I had another epiphany while listening to this disc for this review. There is a real difference in approach between Yundi and the typical Western pianist, which I think is an approach that exists in Asia in many artistic disciplines beyond classical music. While Yundi wants to be appreciated for his cultivation within a tradition (Western classical piano), the typical Western pianist is trying to elicit more of a mimetic response. So where a pianist like Yundi says, “behold the level of refinement I have achieved,” the Western musician says, “feel what I feel.” This is interesting because, for all intents and purposes, the world has already recognized Yundi’s pianistic refinement. Once you win the Chopin competition and are putting out records internationally, your talent has already been recognized. The question then becomes: Who are you? What do you have to say? What can you add to the world of music? One bi-product of this approach is that Yundi shies away from any technical extreme. To his performative mindset, an extreme musical position is one that has not been properly weighed from all sides. It is unbalanced. But from a Western perspective, what Yundi is doing is precluding a priori the most powerful tools at his disposal. Yes, they can be overused and misused, but to reject them altogether limits a performers expressive potential. And it must be stressed here that the idea is not to include a few crashing sforzandos here or sudden pianissimos there for the sake of technical range, the idea is to fully serve your interpretive point of view. The idea is--ultimately, of course--to have a compelling musical point of view in the first place that can be served fully by technical cultivation. I've been sitting on this album for a while now. At first, I was going to write a "Yundi has arrived" review, then I considered writing a conditionally negative review. Now, I think the album is basically what we have come to expect from Yundi Li: an ironed-out, technically detailed but largely characterless recording. For the record, the Ballades are the best selections on the album. 1 and 4 stand out slightly to me. As a whole, Yundi gives them a very extroverted (if you didn't need any more evidence after his Moonlight and Pathetique slow movements that Yundi is not a sentimental pianist; this may be a reaction-formation to criticism of Asian pianists), almost brassy tone, and tends to slow down for effect in places. He tends to want to go big, but also to moderate the tempo. The Berceuse to me is utterly devoid of charm, and the selection of Mazurkas somewhat baffling. Out of the 58 or so Mazurkas that Chopin wrote, Op. 17 might be the only four-Mazurka set without a single memorable figure. If Yundi was trying to go for depth here, he may have overshot the mark. The interpretations are also slowed-down and very literal and rigidly adherent to the score. The Mazurkas may be the most difficult Chopin genre to perform well specifically because they require spontaneity, freshness and a sense of bodily rhythm. I think Yundi is, euphemistically, off the mark here. Yundi Li gives us piano playing that is supremely edited, not supremely felt. I think this is his basic shortcoming, he has been this way for most of his career, and I don't at this point expect him to change.